Florida Keys boasts an amazing variety of places to stay. Our resorts, guesthouses, vacation rentals, and historic inns are world renowned and offer options for every budget. Choosing a place to stay is one of the most important decisions in planning any vacation. Getting all the amenities you desire in a perfect location can be a difficult task. Thankfully, the Florida Keys and Key West are the perfect solution to the hassle of selecting your appropriate accommodations. In the Florida Keys, you will find a variety of options that is unparalleled anywhere in the world. You have your choice of any number of Bed and Breakfasts, campsites, guesthouses, historic inns, hotels, resorts, and vacation rentals. 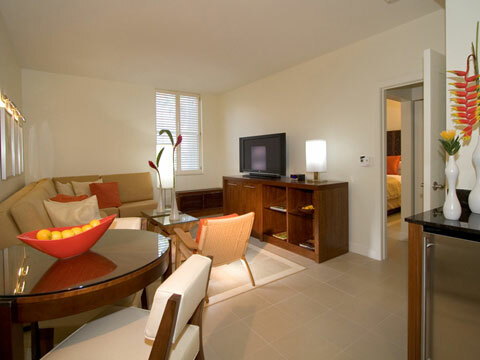 Whether you plan to stay for 2 nights or 2 months, the Florida Keys and Key West has the perfect place for you to stay. Many resorts and hotels offer waterfront properties that are superb for any boaters or beach goers. Included with your ocean views is convenient and friendly service. Hotels and guesthouse cater to all different kinds of travelers. Whether your newlyweds or bringing along the entire family, Amenities and service that you would expect to find in any nation hotel chain are never far away at many Florida Keys lodgings. Feel free to search through KeysTV.com's list of accommodations to find the right fit for you. Get maps to your hotel, resort, or guest house and visit their website to find out what amenities and services they offer. Reserving your room has gotten even easier with On-Line reservations. Visit any one of these lodgings website to learn more about making your reservations today. KeysTV.com provides the largest selection of Key West and Florida Keys accommodations information anywhere! You'll find info about Bed and Breakfasts, Camping, Gay and Lesbian, Guest Houses, Historic Inns, Hotels and Motels, Oceanfront, Resorts, Transportation and Vacation Rentals.